Light Balance dancers received a Golden Buzzer from Tyra Banks on America’s Got Talent Season 12 on Tuesday, June 20, 2017. Ukraine dancers snag the coveted Golden Buzzer thanks to Tyra Banks! “I love this so much. I like the creativity,” said Heidi. “I actually love it. We love what you did and you should be very proud of yourself,” said Howie. “Everything was perfection,” said Mel B. “I’ve never seen anything like it. I thought the act was incredible,” said Simon. Light Balance is going straight to the Live shows. 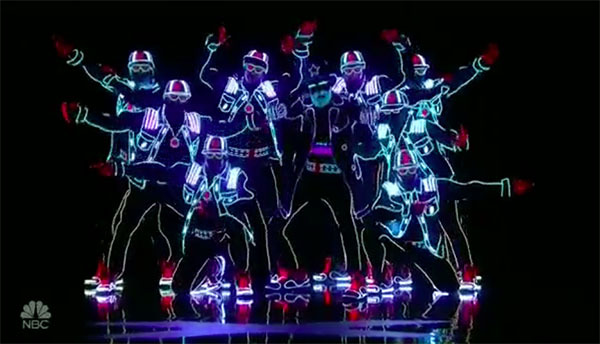 What can you say about Light Balance’s performance on AGT Season 12? Share your thoughts and views on the discussion box below.